The missing link between music and sound-design. Immersive and intriguing. > Total Runtime: 02h 03m > 436 Sounds | 94 Audio Files > 24 bit | 96 kHz > 15.3 GB wav > Soundminer and bwav metadata > Unique artwork for each sound file > Includes Surround & Stereo files. 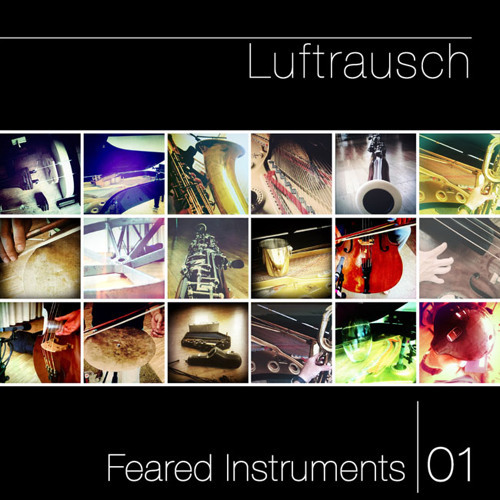 > www.luftrausch.at Feared Instruments|01 Native provides natural sound effects, which originate from various classical instruments but sound nothing like them. These organic sounds fill the gap between music and sound effects without being synthesized or processed in any way. A lot of experimentation and research was involved in finding these unique and inspiring sounds. The 5.0 files provide an immersive surround playback. The stereo files have a more direct sound image for fast and easy editing. A Schoeps cardioid microphone is used for the centre signal and a Soundfield ambisonic mic for the spatial image.The advantage of this recording technique is to have an isolated direct signal which is separated from the room response. This gives the ability to change the relation between dry and room signal quickly and effortless. Also every mixture or combination of those channels is possible.